Get your groups in gear with one of these connection-ready learning options. Dynamic brightness control on this ultra short throw automatically adjusts to the classroom light level for easy reading, made even clearer with shadow-free imaging. The Casio app integrates modern media, wirelessly connecting up to four laptops, tablets or smartphones (Android and iOS) within one projection allowing creativity and engagement in group lessons and presentations. The DLP 3D-ready function adds a pop of excitement to anatomy or architecture lessons, using a near-real spatial representation. This interactive projector keeps things close, with as little as 8cm needed for an 87 inch space, letting a classroom full of learners to lean in without distorting the image or lesson. Great picture quality and high brightness means superior readability in well-lit classrooms. PointWrite tech allows multiple users and recognizes Windows Gesture for easy scrolling, zooming on images or Googlemap. 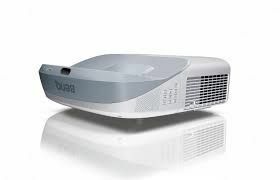 Boasting premium features and connectivity, this value-conscious wireless portable projector delivers 3,600 lumens of color and white brightness for bold, colorful images, to ensure engaging classroom presentations regardless of ambient light. Wireless connectivity — including screen mirroring with Miracast — as well as HDMI and MHL — makes this a versatile options. This affordable alternative to interactive whiteboards has an ultra-short throw lens making the projector flexible enough to be ceiling-mounted or simply placed on the tabletop (also allowing the budget hit to be spread to benefit multiple classrooms). The vBoard software lets users write, highlight and edit documents or images in real-time and features an integrated micro USB cable for easy charging.